According to storage legend the birthplace of self storage was in what is now Xi’an, China. Xi’an is known as being the starting point of the Silk Road, Asia’s great old trade route. 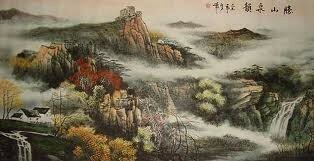 It is also celebrated as one of the Four Great Ancient Capitals of China. But 6,000 years ago it wasn’t much. 6,000 years ago Dynastic Rule in China was still two millennia away. 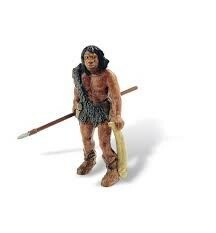 It was the Neolithic period otherwise known as the last part of The Stone Age. Mankind was developing slowly. 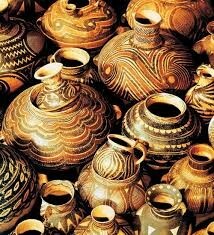 The people farmed, kept animals, and created pottery and jewellery. Of course with the development of these skills and the various objects they produced came the subsequent ownership of valuables. Some things never change and even in 4,000 B.C. Xi’an, China, it was not wide to leave one’s valuables lying around unattended. And so it seems it was that the world’s first storage facility was created. It has been claimed that the man responsible for this great innovation was a wise homo-sapien by the name of Xiang Lau. As the story goes Xiang had accumulated an impressive collection of pots, stones and enemy bones and before long his cave was filled with them. His wife was getting fed up with all the bones she was kicking around the mud-hut and his neighbours were coveting his fabulous collection of painted pottery. So Xiang came up with an idea. 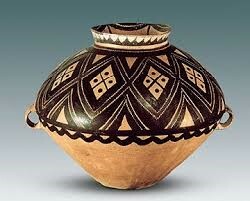 He crafted large clay pots in which to place his objects of value and then he dug underground pits in which to lower the pots. He paid guards in food and water to watch over the sites and ensure that the pots and their contents were safe from thieves. Before long other ornament-owners were using Xiang’s new service to store their own treasured objects. Xiang was in business. Six thousand years later all that has fundamentally changed is technology. Instead of pots we have units, instead of pits, buildings made of concrete and steel, and our modern-day security guards use surveillance cameras and alarm systems in place of sticks and spears. This is the legend of Xiang Lau, the Neolithic Godfather of Storage as passed on down through the ages in chinese whispers. Check back in soon for more amazing Storage Facts.